Manitou is an industry leader for rough terrain telescopic forklifts. Primarily focusing on reliability, safety, performance and comfort, Manitou is easily one of the most popular brands for telehandlers in North America. Each series of this brand provides different levels of functionality to meet the demands of any job site. Manitou is known for supplying efficiency, versatility and maximum serviceability. When it comes to replacing tires on your machine, trust only the best. 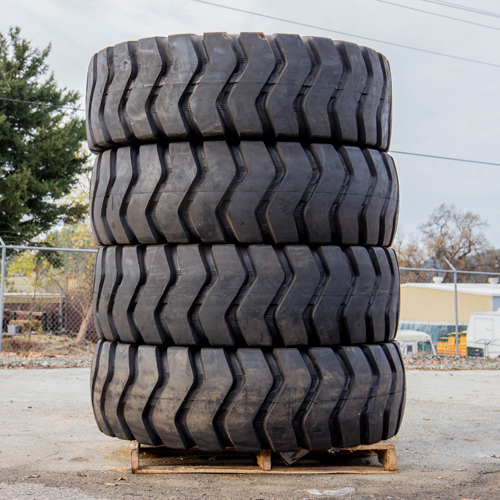 Browse our wide selection of solid, pneumatic, radial and bias tires with multiple PLY options. Also, based on the terrain of your job site, we offer a variety of tire tread patterns to meet the needs of job site.